Room One is conveniently located on the first floor.A king sized bed featuring Matteo linens, down comforter, and a blanket from Faribault Woolen Mills. 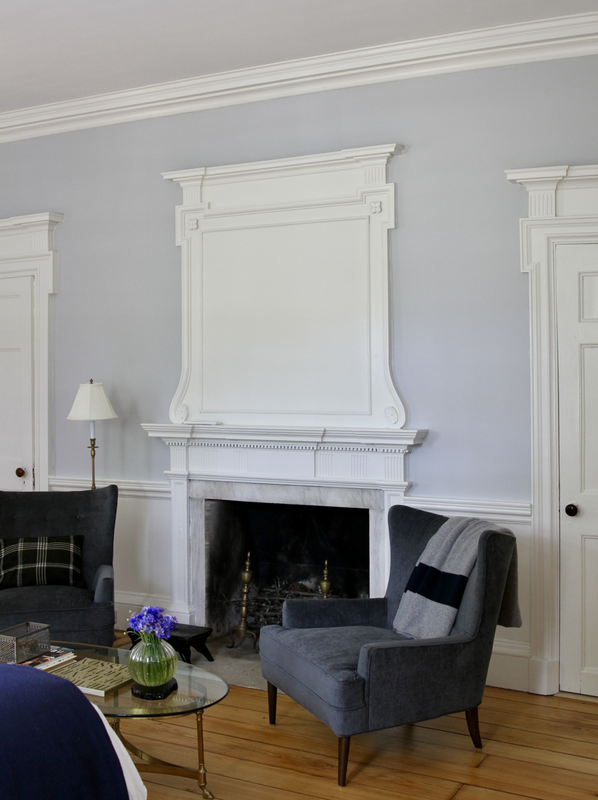 Of the nine fireplaces at Kenmore Hall, the most impressive may well be in room one, with an original overmantel panel featuring exquisitely detailed hand carved woodwork. Comfortable armchairs for reading. 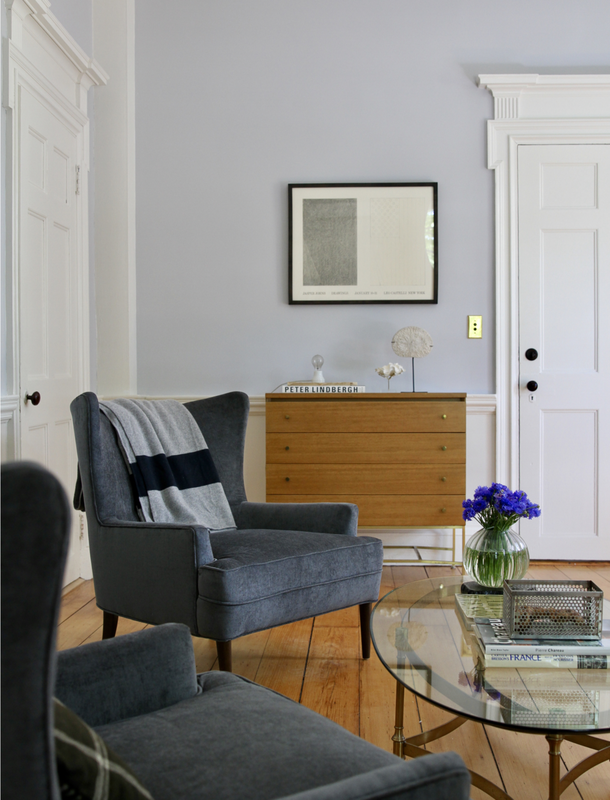 Throughout the house, you'll find a mix of antiques, mid century and contemporary furnishings, as well as art and books from our travels. Settle in... A Paul McCobb dresser feels right at home against the striking Georgian architecture. 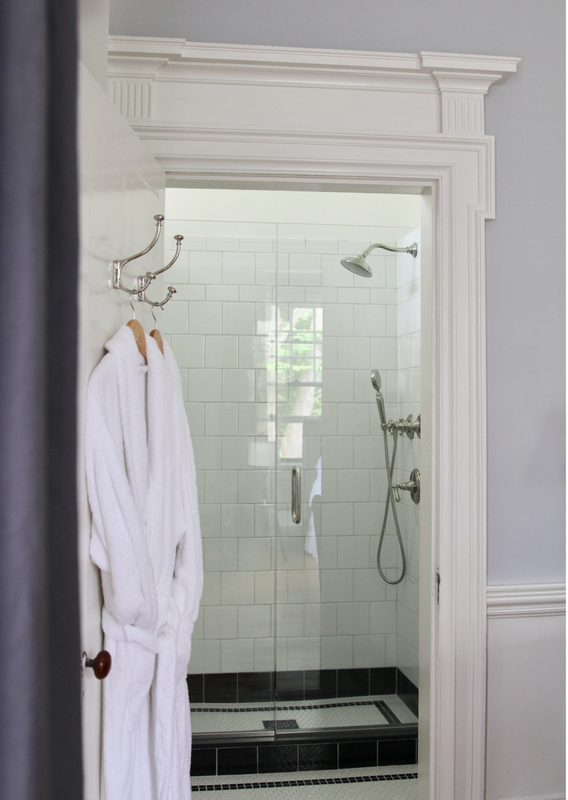 Room one features a glorious walk in shower room, with radiant heated mosaic tiled floors. Polished nickel fixtures. Toiletries are Aesop.